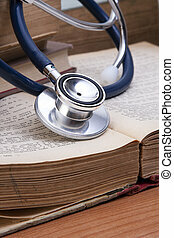 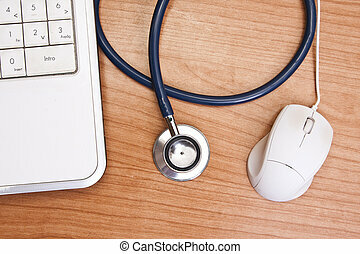 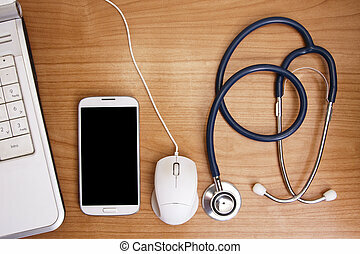 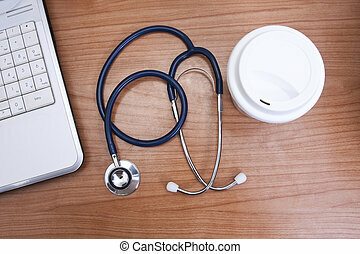 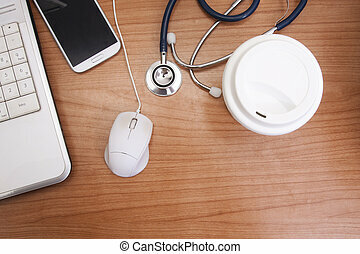 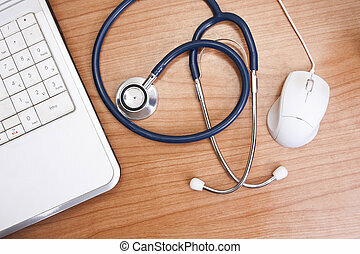 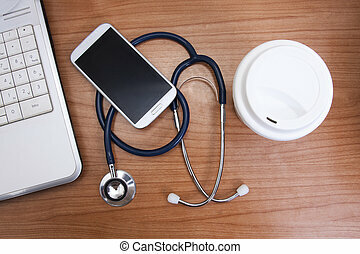 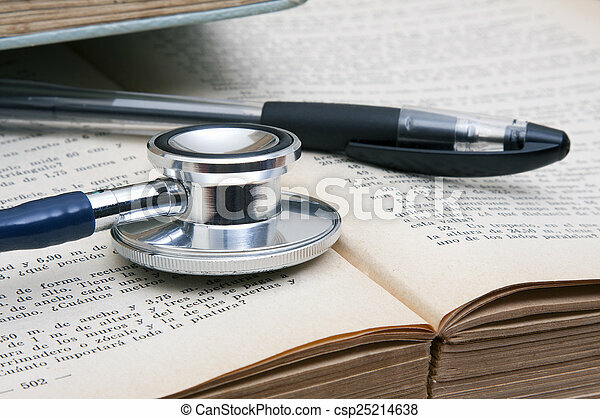 Stethoscope and medical form on a worktable. 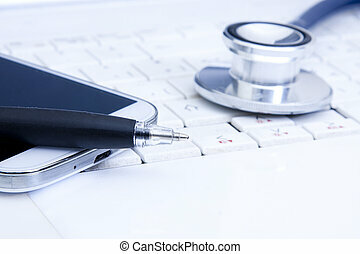 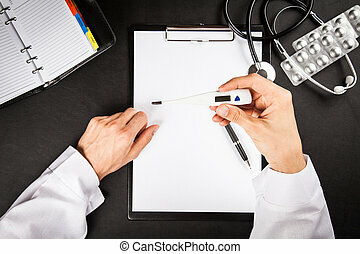 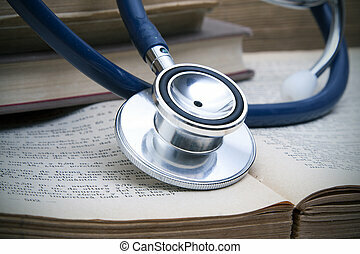 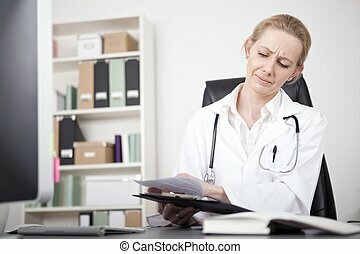 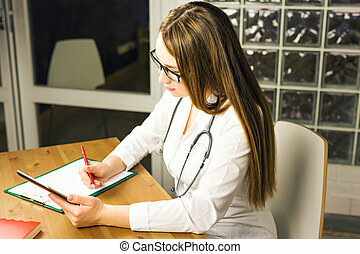 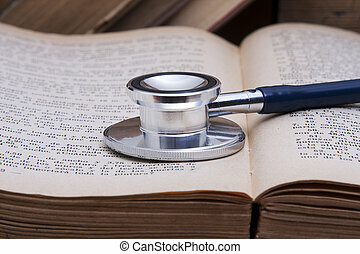 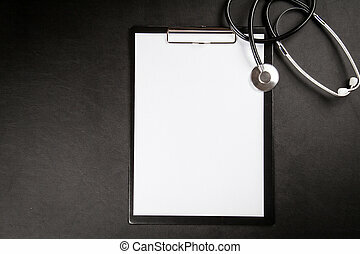 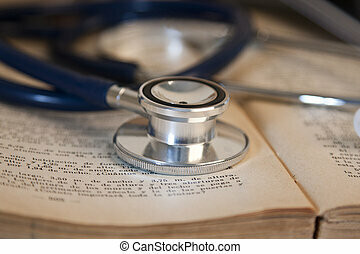 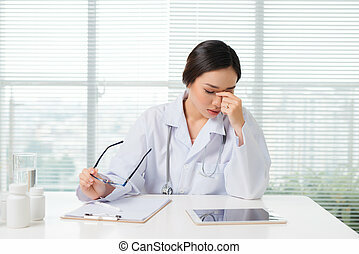 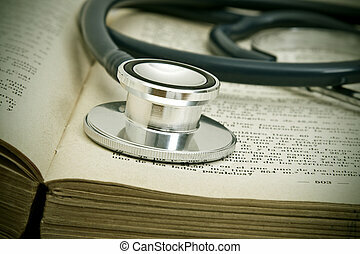 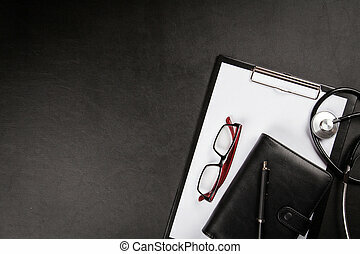 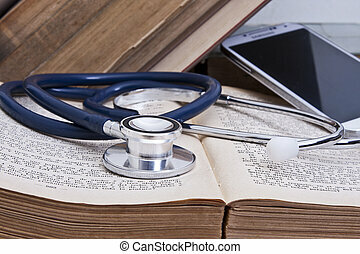 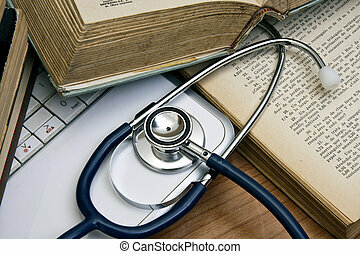 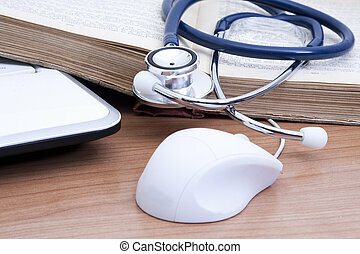 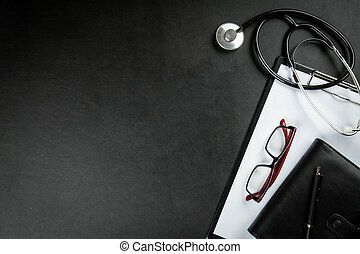 Serious Adult Woman Doctor with Stethoscope on her Shoulders Writing Some Medical Findings on a Paper at her Worktable. 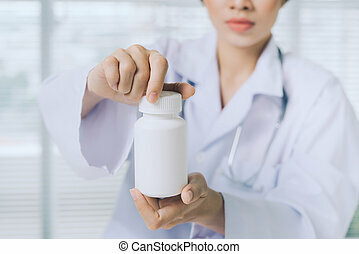 Woman medicine doctor hold jar of pills and write prescription to patient at worktable. 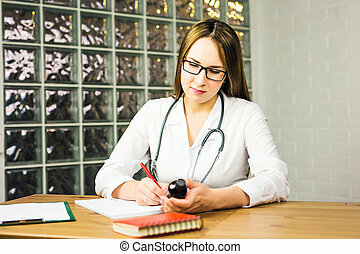 Panacea and life save, prescribing treatment, legal drug store concept. 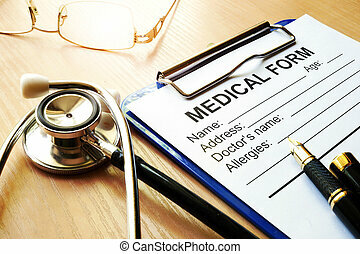 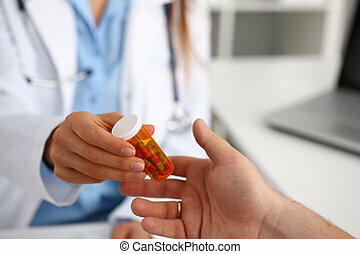 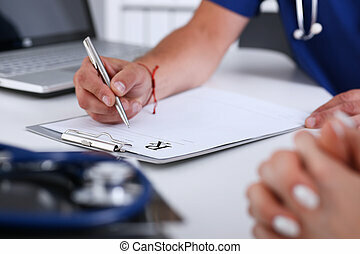 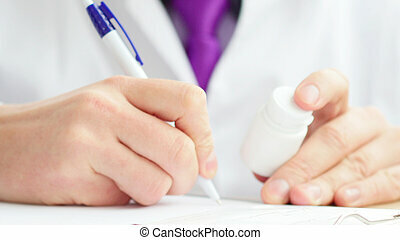 Physician doctor sitting at worktable, holding jar or bottle of pills in hand and writing prescription on special form. 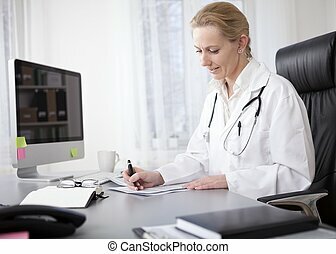 Adult Woman Physician Scanning Medical Reports on a Clipping Board While Sitting at her Worktable.